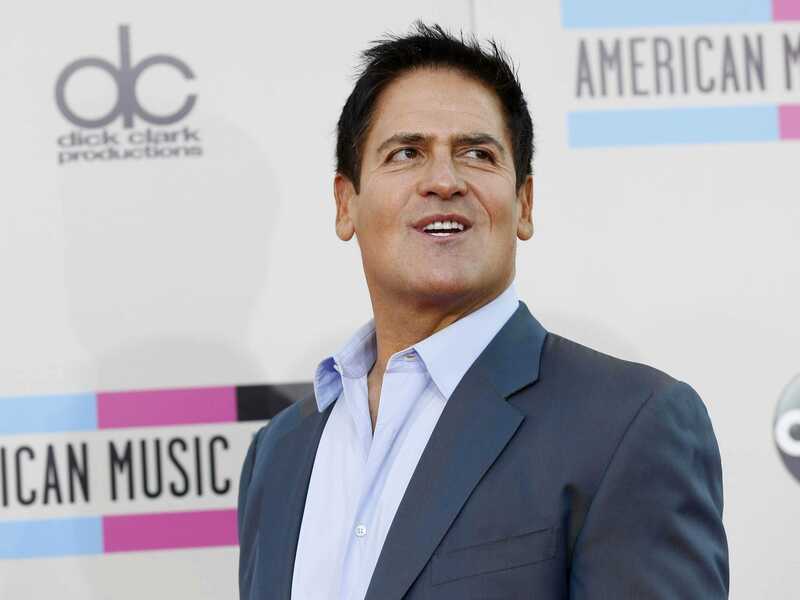 On Thursday, Mark Cuban compared the net neutrality debate to the government regulation railroads faced about 100 years ago. Passions are high about the topic, and Cuban being Cuban, his tweets only stirred the pot again. 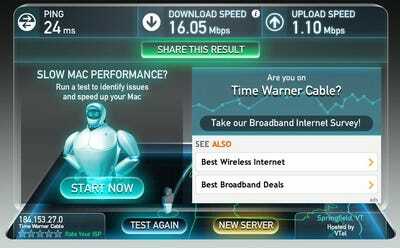 1. the speed/quality of our home/phone broadband has improved dramatically. We have new tech/apps/clouds/IOT every day. Its working. Those tweets were prompted by President Obama’s proposal last week encouraging the FCC to regulate the internet under something called Title II. Under Title II, broadband would have the same classification as telephone lines. Advocates of net neutrality see this as the best way to ensure that all content distributed over the internet will be treated equally. Many big Internet Service Providers (ISPs) like Comcast, Time Warner, AT&T, and Verizon also distribute content, and the fear is they will prioritise that traffic over traffic from rival third-party services. There’s also a fear that down the road that prioritization could chill innovation and keep scrappy startups from creating the next big thing online. Title II would guarantee that all internet traffic gets to where it needs to go without interruption, much like phone calls. The idea is that the internet is a communication tool that has become far too vital to commerce, education, and just about every other aspect of our lives to have no oversight. Following Cuban’s tweets, I had a back and forth with him over email trying to get him to clarify what he meant. It was a really interesting exchange, but still didn’t sell me on the notion that leaving things as they are is the best way to protect the internet. The first is that wired broadband ISPs have plenty of competition now that wireless 4G LTE networks from Verizon, AT&T, etc., provide speeds that are just as fast, if not faster, than the service you get piped directly into your home. That gives the ISPs plenty of incentive to continue to invest in infrastructure and give you better, faster service over time. Second, Cuban points to the fact that wired broadband networks are getting faster all the time, even if they don’t have direct competition in most places. And they’re doing it without any meddling from Uncle Sam. Finally, he says it’s impossible to tell what the internet will be used for in the future, and letting the government have too much regulatory control now could chill innovation in the future. Still, these are all three very common arguments the ISPs and net neutrality opponents use. They all say they endorse the concept of the “open internet,” but too much regulation will harm innovation down the road. Let the free market take over and everything will turn out alright. In theory, they’re probably right. But the way the system is set up today gives ISPs a monopoly over the areas they operate. They own the lines that send the internet to your home. And in most places in the country, they’re the only lines available. 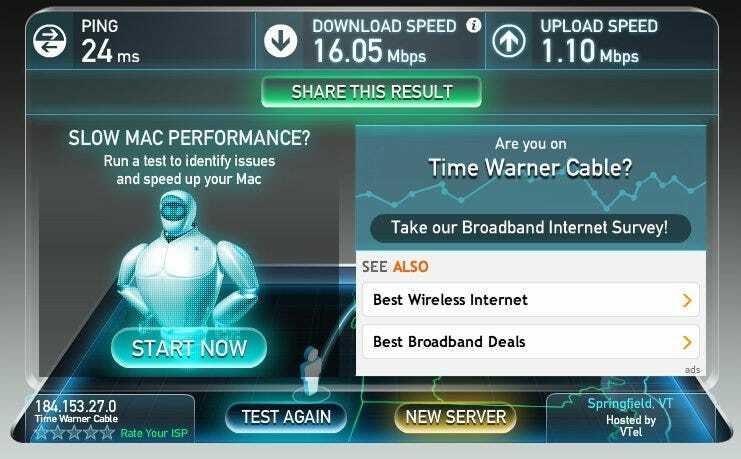 Simply put, there is no competition and no incentive for ISPs to give you better service, faster. You have two choices: use your local ISP or have no internet at all. But it’s still a common argument net neutrality opponents use: There’s plenty of competition! All four major wireless carriers sell hotspots that let you get online at speeds just as fast or faster as the speeds from wired broadband ISPs. If enough people switch to wireless carriers for all internet access, then wired broadband providers will be forced to get better, these people say. But while that’s technically true, wireless broadband is not designed to replace wired broadband. Instead, it’s still optimised for mobile devices that sip data on the go. Let’s say you get a wireless hotspot from Verizon. For about $US60 per month, you get 3GB of data. If you go over that 3GB cap, Verizon charges you extra to get more data. Some carriers like T-Mobile offer unlimited data, but slow down your speeds once you hit the limit within a month. Those speeds are so slow that your device is basically unusable unless you pony up for more data. 3GB is about enough to let you stream two feature-length movies on Netflix. You’re hosed after that. Meanwhile, wired broadband ISPs either give you unlimited data or about 250GB for approximately the same price wireless carriers charge for just a few gigabytes. Then there’s the connectivity issue. There are wide swaths of the country that don’t have access to the wireless carriers’ fastest 4G LTE networks. And the two smaller carriers, T-Mobile and Sprint, don’t have strong networks in smaller towns and rural areas like AT&T and Verizon do. That’s why AT&T and Verizon are able to charge you more for service, they have less competition across much of the US. Maybe in a few decades the country will be blanketed in zippy wireless internet from multiple carriers and we’ll laugh at how in 2014 people paid $US65 per month or more for internet that only worked in the home. And maybe soon someone (Google? Apple? Facebook?) will see an opportunity and invest the billions necessary to make that happen and usher in a new era of internet access. I hope they do. But that’s not the reality of things now. Wireless carriers are only competing to pump internet to your smartphone, tablet, and laptop (via hotspot) while you’re on the go. They don’t have the bandwidth to compete with traditional ISPs yet. Then there’s the idea that ISPs are improving networks even without direct competition. “You may not like the depth of competition wireless currently provides, but wireless networks are getting better by the day and standards are being set for 5G that will compete with wired broadband,” Cuban told me. That’s true, but those 5G networks are at least a decade away. 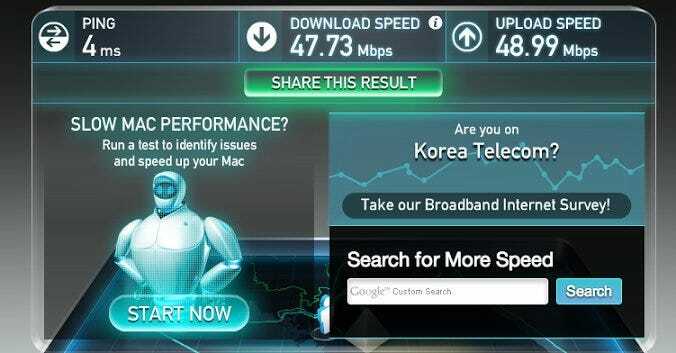 For wired broadband, the pace of improvement isn’t up to par with other developed countries. The US still ranks far behind other developed countries like South Korea, Japan, and the Czech Republic. But, net neutrality opponents will argue, those countries have denser populations than the US, so it’s an unfair comparison. You can’t compare speeds from Middle-Of-Nowhere, Iowa, to a densely populated country like South Korea, they say. I don’t buy the population density argument, either. I live in Manhattan, which everyone can agree is a crowded region. Still, Cuban didn’t see much of a problem with that. I agree with Cuban on one thing: We have no idea what the internet will become. Much of the net neutrality debate revolves around getting your Netflix and other streaming content at a fast speed. But that’s only part of the issue, and a very narrow way to look at it. The internet 5, 10, or 15 years from now could be a very different place, powering our household appliances, medical equipment, and self-driving cars. But I think that just highlights the need to protect it as much as we can now. Title II may not be ideal, but it’s the best weapon we have at the moment. At the very least, it’s comforting that Cuban and other opponents of Title II regulation see the potential for the internet. We just disagree on the best way to protect it: trust private companies to keep building out the infrastructure and provide quality, affordable broadband or force them to do so through tighter regulations.